Zingo! Sight Words teaches words that are essential to reading. 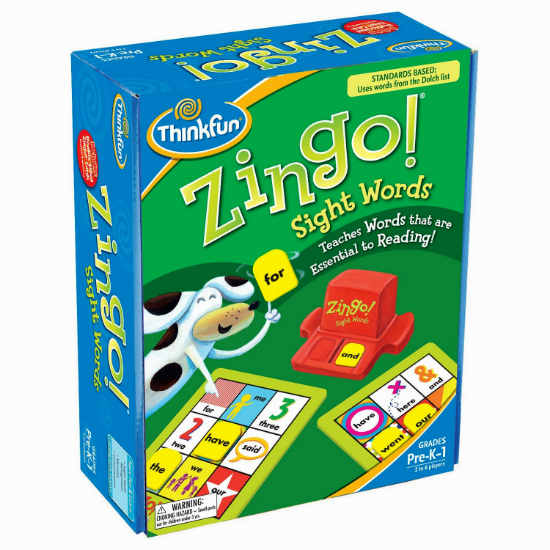 Zingo Sight Words is a fun and interactive word game that brings fast-paced excitement and learning to the classic game of Bingo. Players learn to quickly recognize and read sight words/ Sight words are the most frequently used words in the English language and make up about 50-75% of all written material. Learning and mastering sight words is a key step in becoming a successful, fluent reader. 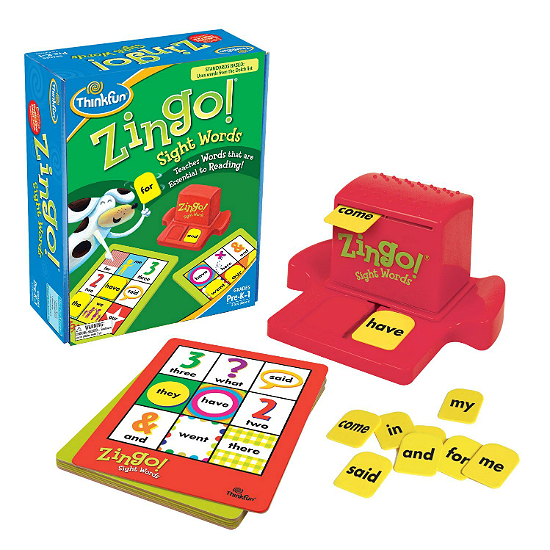 The sight words used in this game have been specially selected by leading educators as the most fundamental for reading development. For 2 to 6 players. Ages 4 to 8 years. Recommended for ages : 4 to 7. Measures approximately: 8.25 x 10.25 x 3.50 inches..